Easily reach Tainan's top things to do including Fort Zeelandia, Chimei Museum, Chihkan Tower and the city's famous food! 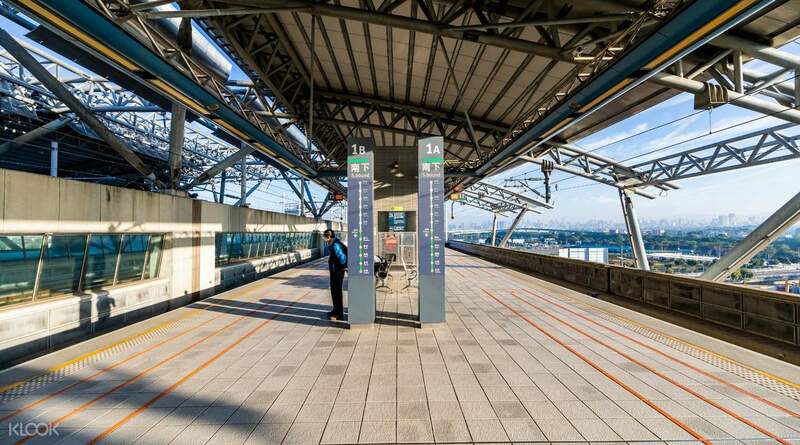 Get from Tainan to Taipei in only 90 minutes! I needed to wait for 20~30 minutes to get on a train. It was the last day of spring break so there were a lot of people. Travel to major cities in Taiwan hassle free and even get 20% off the original price! Whether you want to see the National Palace Museum in Taipei, or the Liuhe Night Market in Kaohsiung, you can do so in a flash with this one way HSR train ticket from Tainan . 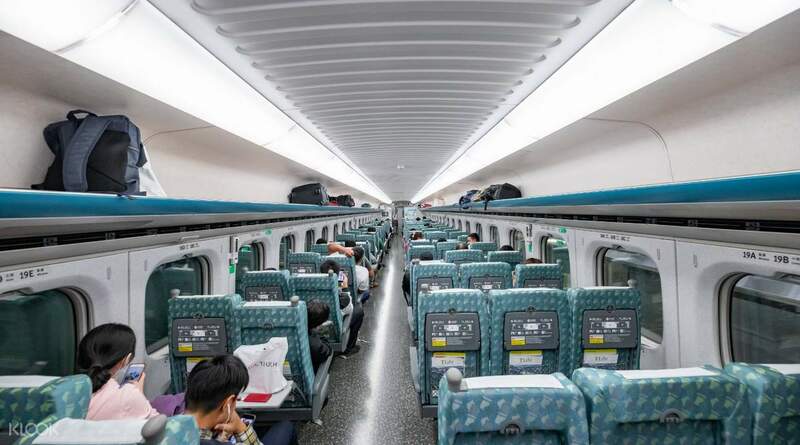 The Taiwan High Speed Rail (THSR) connects major cities all over the country, meaning you can visit any destination in Taiwan even if it's on opposite ends of the country! You can even get from Tainan to Taipei in only 90 minutes, so it really is the fastest and most convenient form of transportation in Taiwan. With a spectacular 99% efficiency rate, you won't be wasting your day waiting around for unpredictable public transport. There really is no easier or better way to get around Taiwan, so cut the stress and buy your travel ticket now! 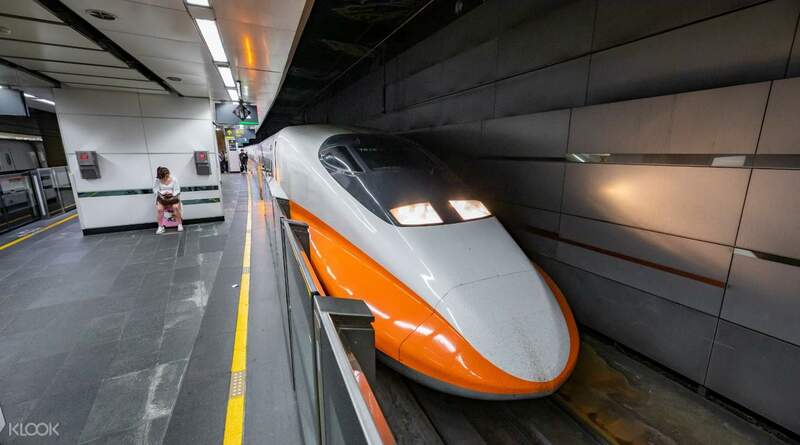 The Taiwan High Speed Rail is the fastest and most convenient form of transportation in Taiwan! 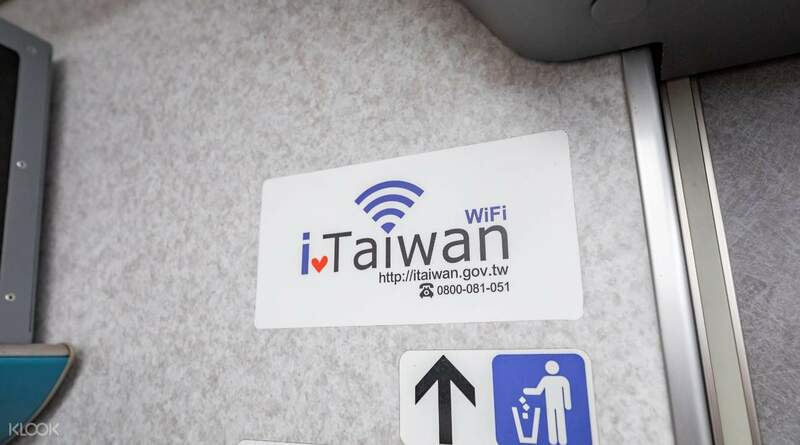 Enjoy free Wifi access at the THSR stations, making your travels even better! Clean, convenient, comfortable and punctual. Staff is as friendly and professional as airline's service. Compared to flight price, it's much better. Detailed and clear instructions on board in English. Clean, convenient, comfortable and punctual. Staff is as friendly and professional as airline's service. Compared to flight price, it's much better. Detailed and clear instructions on board in English. very easy to buy the tickets to where you want to go and the train is fast and comfortable. I will recommend it to my friends. very easy to buy the tickets to where you want to go and the train is fast and comfortable. I will recommend it to my friends. Convenient to book online and pick up the ticket. Instead of trying to use the tickets at the gates, remember that you have to find a station attendant, who will physically verify your ticket against your passport or other photo ID, before putting a stamp on the back of the ticket. Excellent, professional service. Trains come on time, have food service (simple snacks for purchase at very affordable price) on board so you do not have to bring your own food. I would highly recommend using the TSHR. Convenient to book online and pick up the ticket. Instead of trying to use the tickets at the gates, remember that you have to find a station attendant, who will physically verify your ticket against your passport or other photo ID, before putting a stamp on the back of the ticket. Excellent, professional service. Trains come on time, have food service (simple snacks for purchase at very affordable price) on board so you do not have to bring your own food. I would highly recommend using the TSHR. It does help you to save some money compared to the usual price at the station + you get a ticket with seat reservation. It does help you to save some money compared to the usual price at the station + you get a ticket with seat reservation. Very convenience, I have booked with promotion from Klook for buying 1 get 1 free. We only need to print the voucher and give passport to the counter operator to print out ticket. The train is very comfortable and savings time for us. It takes only 15 mins to Tainan from Chiayi and you can have free bus H31 from Tainan THSR station to the center. Very convenience, I have booked with promotion from Klook for buying 1 get 1 free. We only need to print the voucher and give passport to the counter operator to print out ticket. The train is very comfortable and savings time for us. It takes only 15 mins to Tainan from Chiayi and you can have free bus H31 from Tainan THSR station to the center. Easy and convenient way to pre book the high speed rail (HSR). Have user this for all my HSR bookings. You still need to go to the ticketing counter to redeem your voucher for the tickets but the process is quick. Easy and convenient way to pre book the high speed rail (HSR). Have user this for all my HSR bookings. You still need to go to the ticketing counter to redeem your voucher for the tickets but the process is quick. Very convenient to purchase via klook. Just present your passport together with the QR code at ticketing counter to redeem. Was able to skip the long queue for on-the-spot purchase with this. For entry and exit, show your ticket and passport to the staff on duty. They will stamp on your ticket before letting you pass through the manual doors. Definitely enjoyed the hassle-free experience. Very convenient to purchase via klook. Just present your passport together with the QR code at ticketing counter to redeem. Was able to skip the long queue for on-the-spot purchase with this. For entry and exit, show your ticket and passport to the staff on duty. They will stamp on your ticket before letting you pass through the manual doors. Definitely enjoyed the hassle-free experience. Very easy to pick up and use. Go up to “advance purchase” ticket line and show the attendant your voucher. You can’t scan these tickets like a regular ticket so make sure you get it stamped by the attendant at the entrance gates. You will have to get it stamped again when you are exiting as well (instead of scanning out). Very easy to pick up and use. Go up to “advance purchase” ticket line and show the attendant your voucher. You can’t scan these tickets like a regular ticket so make sure you get it stamped by the attendant at the entrance gates. You will have to get it stamped again when you are exiting as well (instead of scanning out). Redeem the ticket over the counter and request for allocated seat. Need to show the ticket to the inspector to enter/exit the station. Redeem the ticket over the counter and request for allocated seat. Need to show the ticket to the inspector to enter/exit the station.